Learn to play and excel at racquetball with detailed lessons from a true legend in the sport. 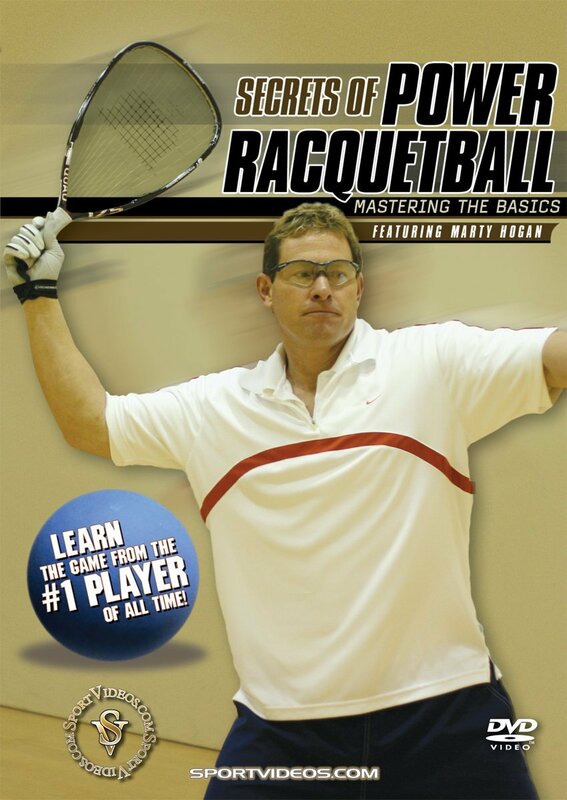 In this comprehensive DVD, Marty Hogan demonstrates all the fundamentals and principles of playing power racquetball and provides an endless array of tips that will help improve your game. Among the topics covered are: rules and regulations, choosing equipment, warming up, forehand, backhand, the serve, return of serve, back wall shots, offensive shots, defensive shots and game strategy. This DVD is a great resource for new players and has more than enough detail to be beneficial for experienced players or coaches.